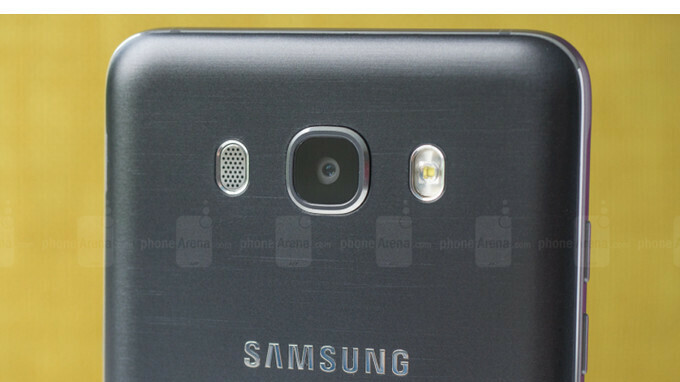 Samsung has a bunch of Galaxy J series smartphones in the pipeline, but none have been officially unveiled yet. 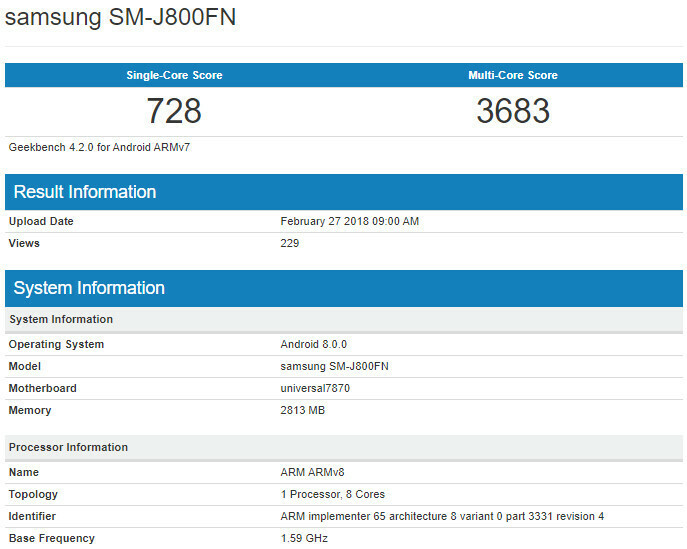 We already reported about the Galaxy J4 and Galaxy J7, which recently popped up in various benchmarks. The newest J series smartphone that's been spotted in a benchmark, the Galaxy J8 has mid-range specs. It is yet unclear when exactly Samsung will announce these smartphones and how much they will cost, but these leaks may be an indication the South Korean company plans to launch them very soon. We only have Galaxy J8's partial specs since Geekebnch doesn't store every component inside a device when it's tested. Even so, we've been able to learn the mid-range handset will be powered by a 1.6GHz octa-core Exynos 7870 processor, paired with 3GB RAM. Also, the smartphone runs Android 8.0 Oreo operating system and goes by model number SM-J800FN. Many of these Galaxy J series smartphones landed in the United States, though carriers have used different names to set them apart from the competition. Samsung may use the same strategy again if it helps the company bring its cheaper smartphones in the US. Weak scores. My Mi A1 get 874 single core and 4302 multicore score in Geekbench. That is almost as fast as an iphone 6s in multicore. Not bad for a midrange Snapdragon 625 phone. What I'm saying is that the J8 should get closer to 4500 multicore score in Geekbench.